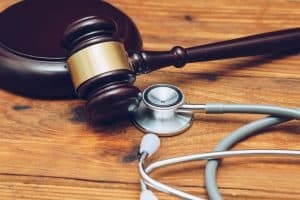 How Do I Know if I Have a Medical Malpractice Case? | Merkel & Cocke, P.A. Home/Medical Malpractice/How Do I Know if I Have a Medical Malpractice Case? The medical profession is one of the most trusted and respected in the world. And almost always, that respect and trust is well-deserved. There are times, however, when doctors and other medical professionals don’t live up to our expectations by failing to adhere to the high standards that are set by the medical community. When things go wrong during a medical procedure, patients can suffer serious harm, including permanent disability or even death. If you or a family member suffer injury after a wrong diagnosis or medical treatment, it’s easy to wonder if someone made a careless mistake. Some medical malpractice cases are straightforward. Others, however, may be complicated and more difficult to unravel. Not every health care mistake is considered medical malpractice—understanding what it means is a good place to start. What makes medical malpractice different than other claims? Medical malpractice cases are extraordinarily complex because they involve advanced knowledge of both law and medicine. Simply because a surgery went poorly or because a patient suffered negative consequences from a treatable injury or illness may not be enough to support a successful claim for malpractice. To prove medical malpractice, you must also prove four key elements. A patient/doctor relationship: The existence of a patient/doctor relationship also shows that the doctor owes the patient duty of care, meaning they must always act in the best interest of the patient and not act (or fail to act) in a way that results in harm. Proof of negligence: This element is crucial to a malpractice claim. The patient must be able to show that a competent doctor, acting under the same circumstances, would not have caused harm and acted under the appropriate medical standards of care. Link between negligence and injury: Even if the doctor made a mistake, there must be a direct link between that mistake and the injury. Typically a medical expert will testify on the patient’s behalf. Proof of damages: To claim medical malpractice, the patient must have quantifiable proof of harm or injury. Damages can include lost wages, added medical bills, and pain and suffering. Medical malpractice injuries can have lifelong consequences. Victims of malpractice can face a lifetime of health issues and may never get back to the way they once were. Let the Mississippi malpractice attorneys at Merkel & Cocke help you heal and find out who was responsible for the medical negligence that caused you injury. Our lawyers have offices in Jackson and Clarksdale. You are welcome to call us today at 662-799-1633 or complete our contact form to schedule a free consultation.